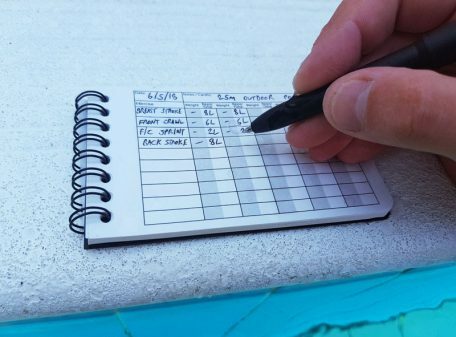 Pocket-sized workout diary, featuring 100% waterproof and sweatproof ‘stone paper’ pages. 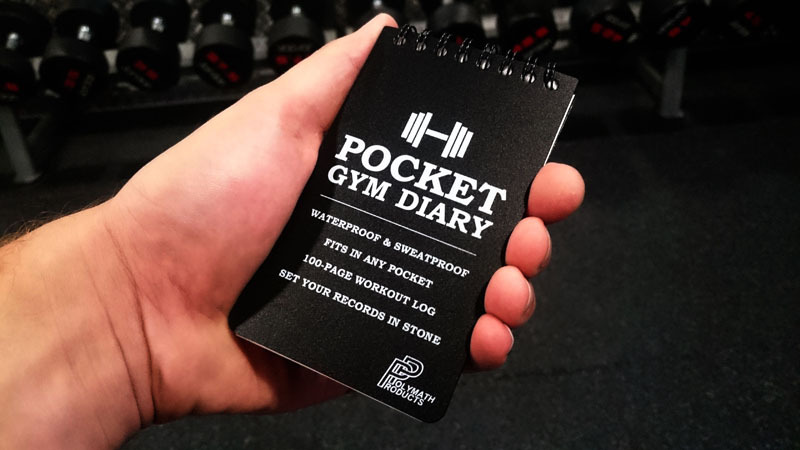 The Pocket Gym Diary – perfectly pocket-sized workout diary, featuring 100% waterproof and sweatproof ‘stone paper’ pages. 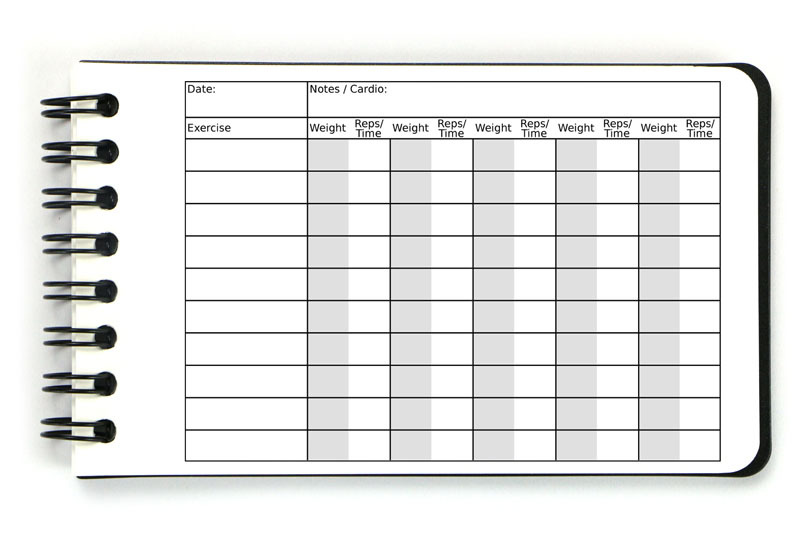 Track your progress – 100-page workout log, with versatile workout page design, providing space for recording 10 exercises, 5 sets per exercise, with boxes for weight and reps/time. 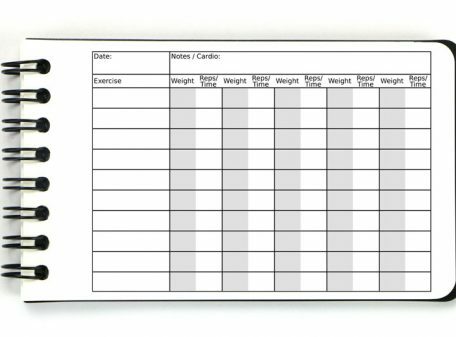 Record every workout – handy 3 x 5 inch size, so small enough to fit in any pocket or gym bag, and always come with you on your workouts. Spiral-bound with plastic front and back covers for durability. Set your records in stone – unlike other workout diaries, the Pocket Gym Diary is made from stone paper, making it impervious to water, sweat, mud, and spilled sports drinks; keeping safe your hard-earned personal bests! 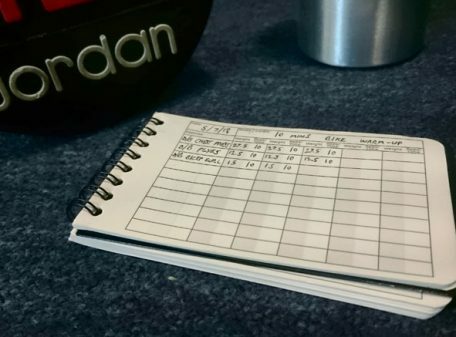 Achieve your goals – an extra page at the beginning and end of the log has space for recording your body weight and measurements, so you can see how far you’ve come. 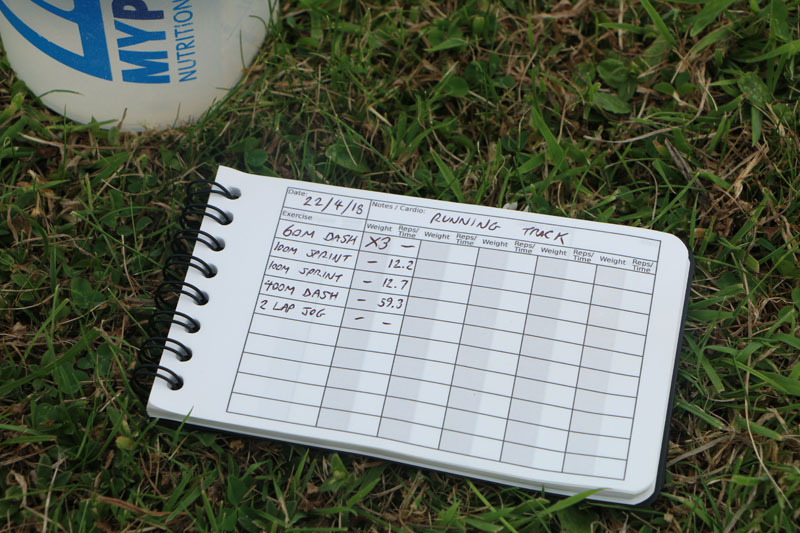 The Pocket Gym Diary is a truly pocket-sized workout log book, to help you track your training progress and achieve your fitness goals. 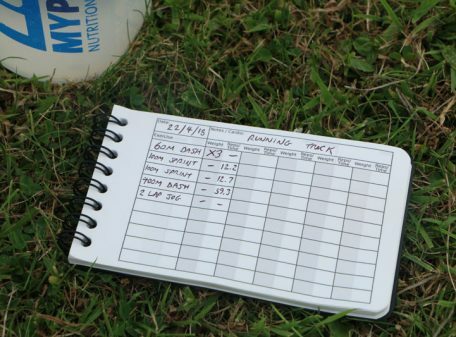 Unlike the other workout logs available, it’s made from stone paper, so it’s 100% waterproof and sweatproof! 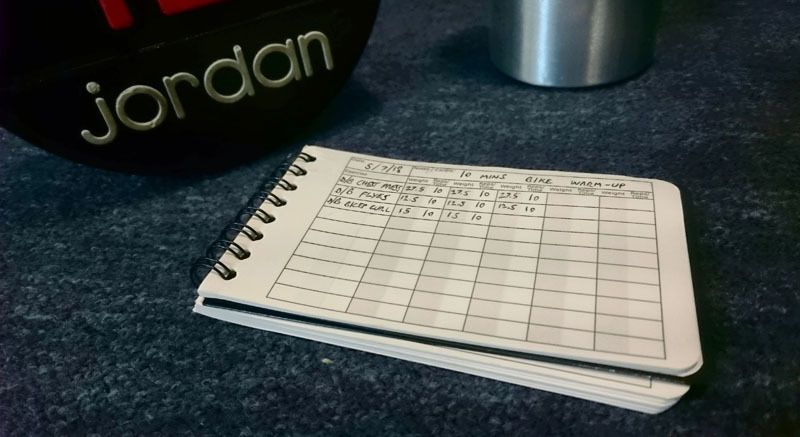 With 100 pages of workout logs, and space for recording 50 sets (10 exercises x 5 sets) per page, with boxes for noting weight and reps/time, you’ll be able to keep records of all types of workout that you do; free weights, resistance machines, cardio, HIIT, swimming, circuit training, etc. Anything’s possible! 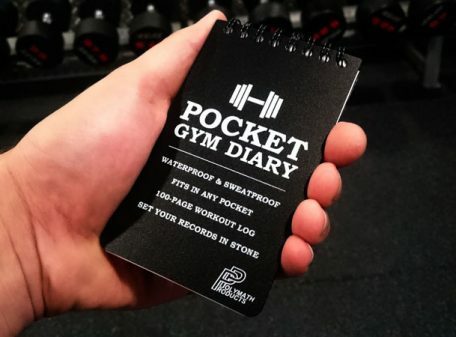 At a compact 3 by 5 inches in size, and weighing in at just 61g, there’s no reason not to be taking the Pocket Gym Diary along with you to every single workout. 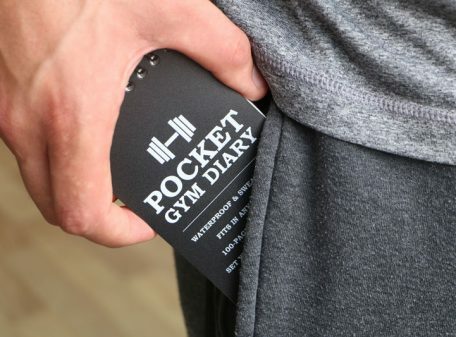 It easily slips into your pocket or a pouch on your gym bag, and it’s just the right size to hold in one hand and jot down your weights and reps between sets; perfect for keeping complete, accurate records of your workouts. 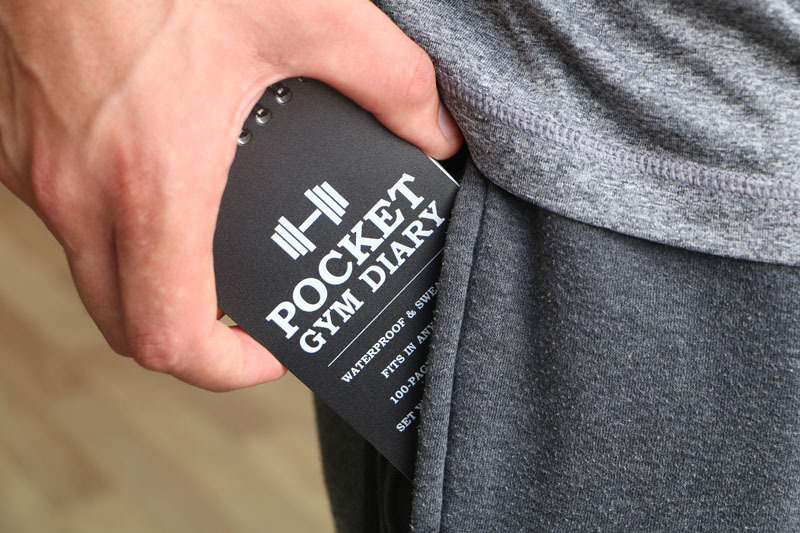 Unique to the Pocket Gym Diary is its wood-free stone paper, which is completely waterproof and sweatproof, as well as being highly resilient to dirt & mud. This makes it ideal not only for gym workouts, but also recording swims, and pretty much any wet or muddy outdoor exercise you can throw at it; jogging, trail running, obstacle course training, outdoor HIIT sessions, cycling, snow sports, rowing, etc. 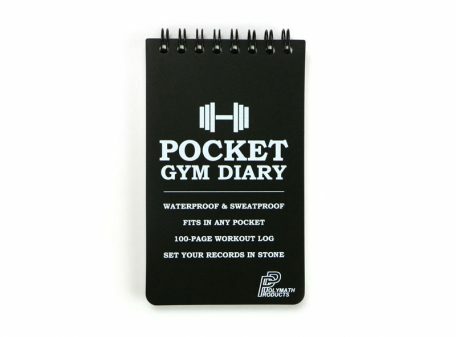 So ready yourself to train hard, progress, achieve your goals, and set your records in stone with the Pocket Gym Diary! 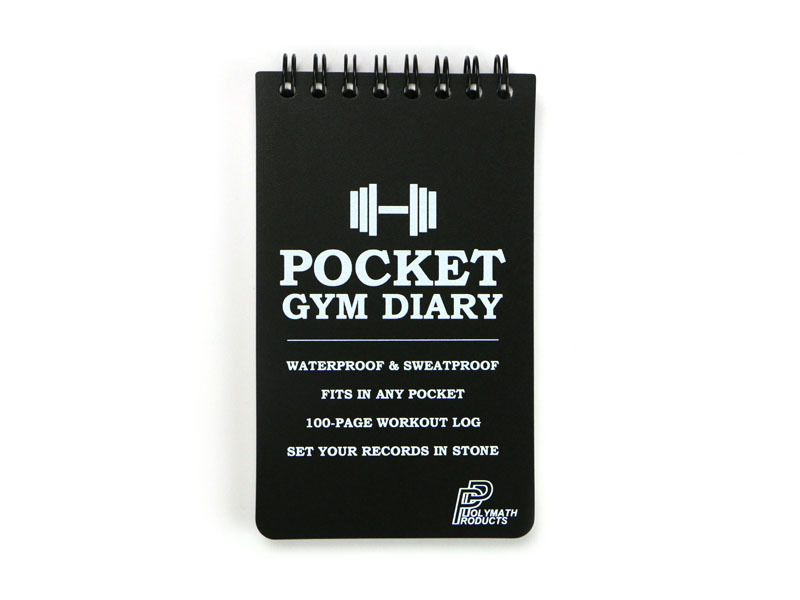 Pocket Gym Diary size: 134mm x 76mm x 13mm. Weight: 61g. 100% waterproof wood-free stone paper. Resists water, grease, dust, mud & sweat. 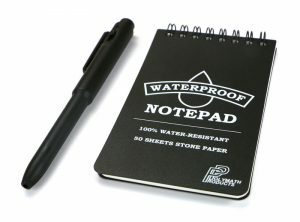 Notepad size: 134mm x 76mm x 13mm, weight 69g.